Technology has become an everyday part of our lives. At work, on vacation, and even out in the car, we use mobile devices and computers for everything. We can even use technology to help us organize our home. In this article I’ll show you 10 ways to organize your home with Evernote. Organize and declutter by scanning all your receipts and documents into Evernote. Not only will your home be more organized, the documents will be easier to find with Evernote’s outstanding search function. Organize your home by taking an inventory of your possessions using your mobile device and Evernote. Having an easily accessible home inventory helps you avoid unnecessary purchases, make better decision on purchases you do need, and be prepared in case of any insurance claims that need documentation. Simply search for the manual online and download the .pdf file right into Evernote. If you can’t find a copy online, scan your paper copy into Evernote. Recycle your old manuals to reduce clutter in your home. Create a step-by-step how-to of that once a year, difficult-to-remember process. For example, sometimes my husband and I have trouble remembering all the steps and levers to turning our sprinklers and water on and off as the seasons change. To solve this problem we simply took pictures of each step and the correct position to leave the levers and stored them as an Evernote photo note. Enhance the note with text, record yourself explaining the process, or let the pictures speak for themselves. Recipes can be added to Evernote via the Evernote web clipper by typing them in, taking a photo of the recipe, or scanning them. I regularly use all of these methods depending on where I find the recipe I want to add. Add recipes to several notebooks to make the organization easier. For example, all of my recipes notebooks are titled “Food: ”. The descriptor could be beverage, beef or snack. Use what matches your current recipe categories. Evernote tags can be used to call out some of the main ingredients in the recipe, making searching even easier in the future. This tip helps you organize your home as there is no longer a need to keep several recipe boxes, magazines and tons of cookbooks. All you have to do to find a particular recipe is search Evernote and then refer to your computer or mobile device as you cook. Meal planning in simple and easy in Evernote. Create a new note and link to the recipes you want to use for the meal you are planning. Plan either one meal or a whole week’s worth of meals in a note. Save ideas for home updates, redesign or decor in Evernote. Find yourself inspired while you are out and about? 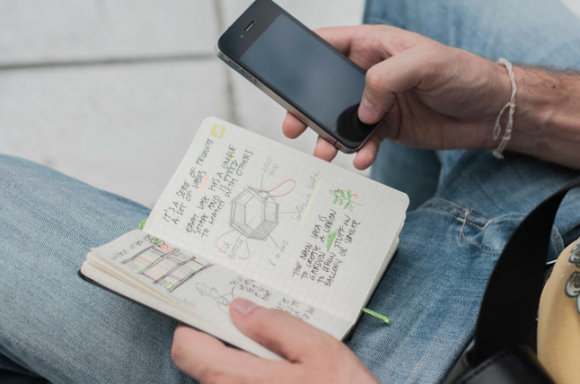 Simply snap an Evernote photo note. If you have the location function turned on, Evernote will save the location you were in when you created the note as well. This can make it easy to go back and find an item you “discovered” months ago if you can’t recall the store. We used Evernote extensively as we finished our basement recently. First, we saved a list of ideas about what we wanted to use our basement for, pictures of things we liked and the floorplan. As we began to work with contractors we save the list of potential contractors, the estimates we received, and the contract with the one we chose. Organize your home by saving your home maintenance routines in Evernote. A home requires daily, weekly, monthly, and yearly maintenance. Save those maintenance items into Evernote to easily find and use them as you complete the items. Use Evernote reminders to get notification of what needs to be done. This could be remembering to clean the coils of your fridge, your spring cleaning list, or when to change the light bulbs. Put your service reminders in Evernote. Home organization is easy when the info you need is easily accessible. Need yearly furnace maintenance? Add a note in Evernote with your furnace’s information: simply take a picture of the unit, the make and model. Add information about the service company you like to work with and the schedule of recent maintenance you’ve received. If you’ve scanned in the receipts and saved the manual for the furnace, add in links to those notes as well. Now, add a reminder for when service needs to occur next. When you are notified that it is time for service, you will have all of the necessary information at your fingertips to contact the service company. Are you ready to organize your home with Evernote? Share your plans in the comments below. Lori Thayer helps busy mompreneurs learn how to be more efficient, more fulfilled and find balance when they optimize their lives. She teaches what software, apps, gadgets and techniques save time and help you better manage your busy life. Click here to learn the #1 Essential Tool For Busy Mompreneurs.